Live worksheets > English > Life skills > At home > Can I eat this? Copyright 1/14/2018 lmoskowitz. Publication or redistribution of any part of this document is forbidden without authorization of the copyright owner. 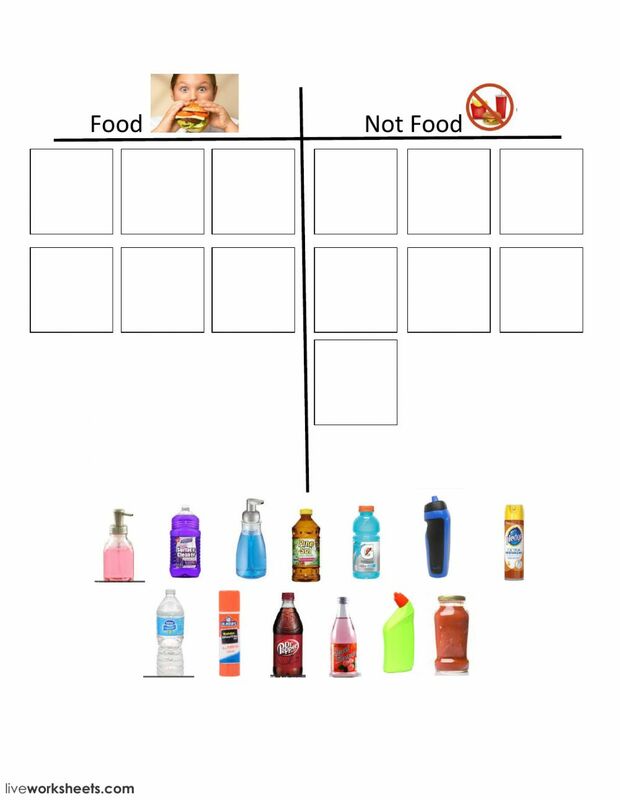 For this worksheet to work properly, try to enter "Drag:1" and "Drop:1" for all the food items, and "Drag:2" "Drop:2" for all the not food items. I hope this helps. Thanks for sharing! !